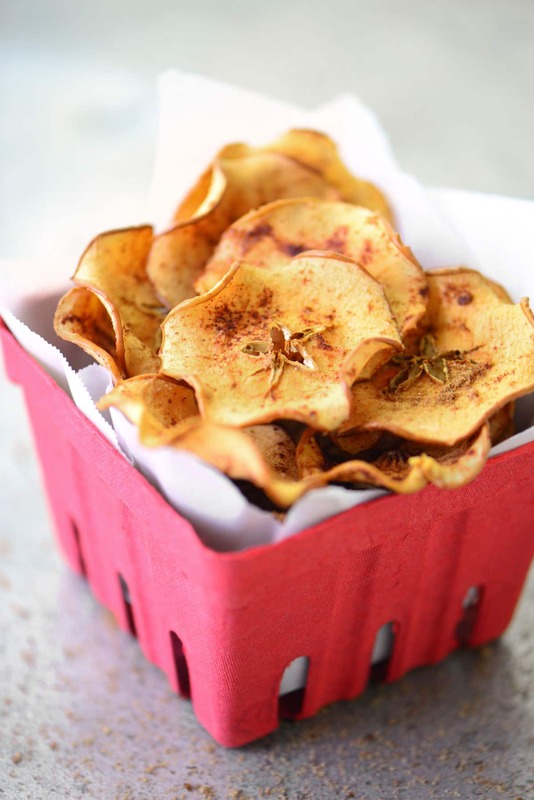 Baked Apple Chips are simple to make with only four ingredients. These crispy, crunchy snacks are perfect for when you are craving something sweet. 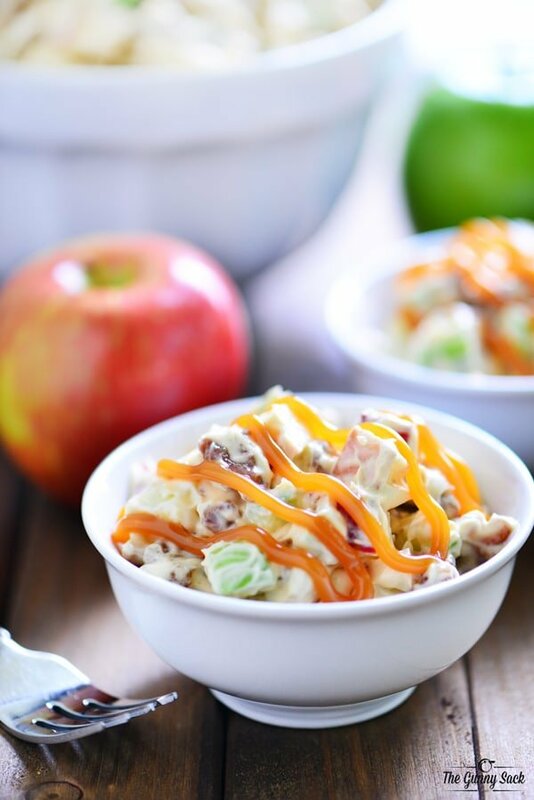 Although apple chips really shine during the fall apple season, they are a snack that my family loves year-round. They are a portable, on-the-go snack for road trips and bag lunches, but we also like them after school and bedtime snacks. The only thing you really need to make sure you have when making baked apple chips is TIME. They need to bake on low heat for a longer period of time. So, plan to make them on a day or evening when you will be staying close to home. You guys…I FINALLY got a mandoline slicer and so far I love it! My kids have wanted one so that they can make homemade potato chips. I will be able to use it for so many things. 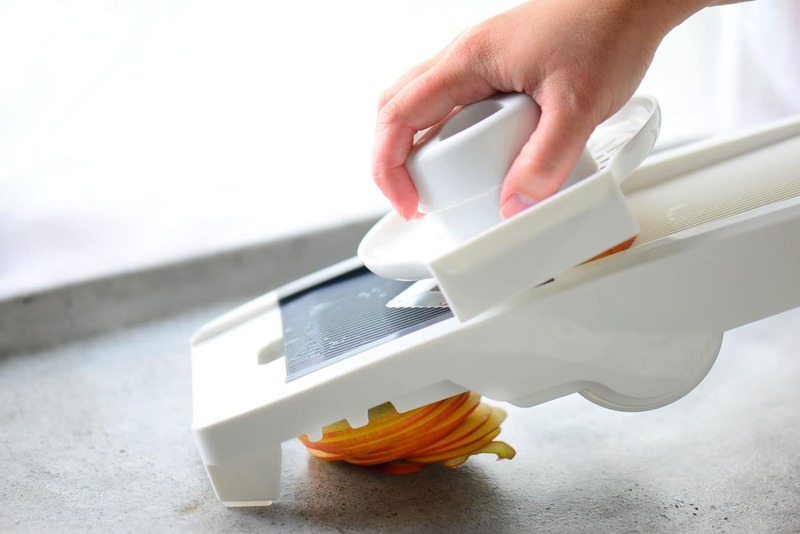 Use a mandoline slicer to cut the apple into thin slices. I filled two cookie sheets with slices and used about three apples. 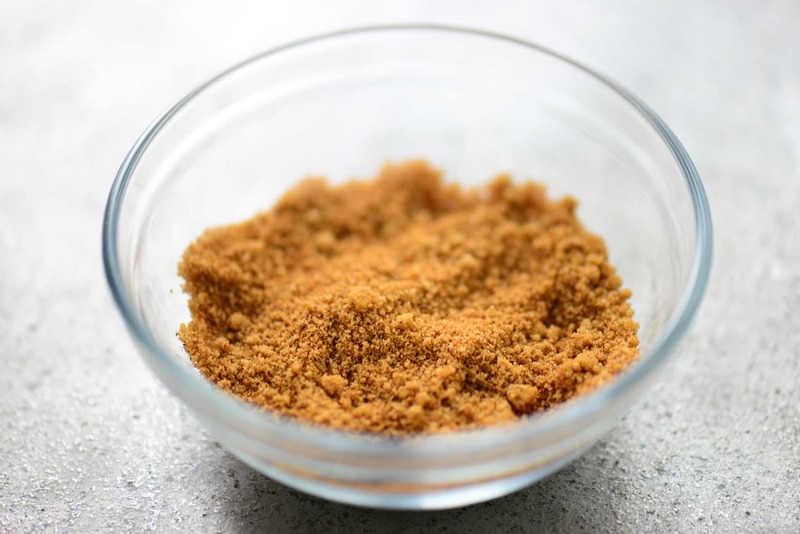 Mix together brown sugar, ground cinnamon, and ground cardamom. Put the apples on a parchment covered baking sheet. Sprinkle with the cinnamon sugar mixture. Bake at 220°F for 1 hour and 30 minutes. 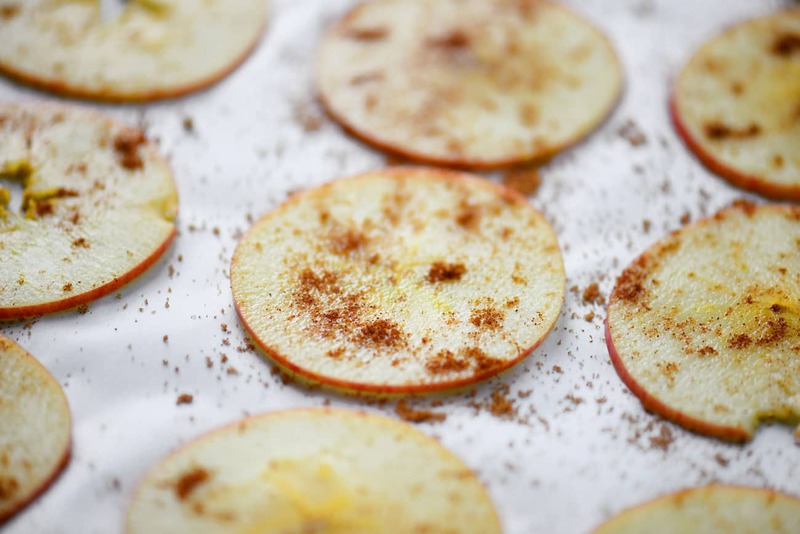 Remove from the oven, flip the apple slices over, and sprinkle with the cinnamon sugar mixture again. Return the pans to the oven rotating the pan from the top rack to the bottom racks. Bake at 220°F for 1 hour and 30 minutes. Remove a couple of baked apple chips and let them cool on a plate on the counter for a couple of minutes to see if they get crispy. If so, you are done. If not, continue baking until the apple chips feel dry to the touch and crisp up within a couple of minutes of cooling. 1. 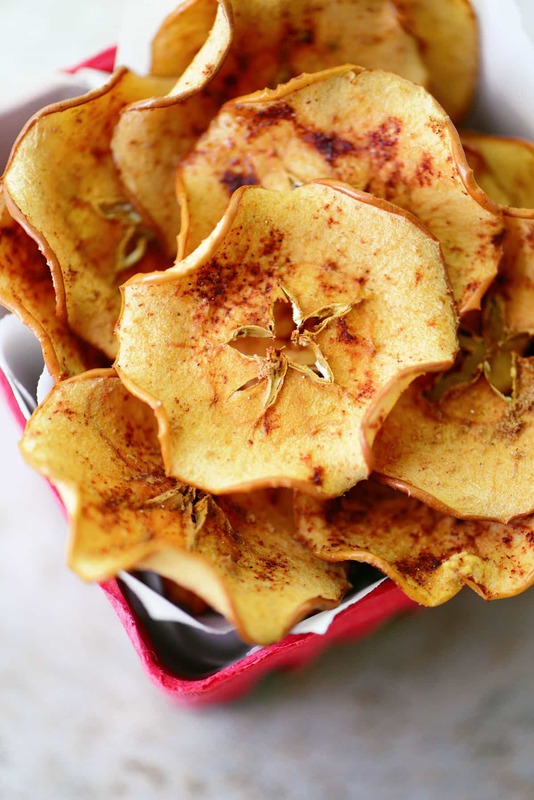 How can I make these apple chips without a mandoline slicer? If you don’t have a mandoline slicer, you can use a knife to cut the apples into thin slices. 2. 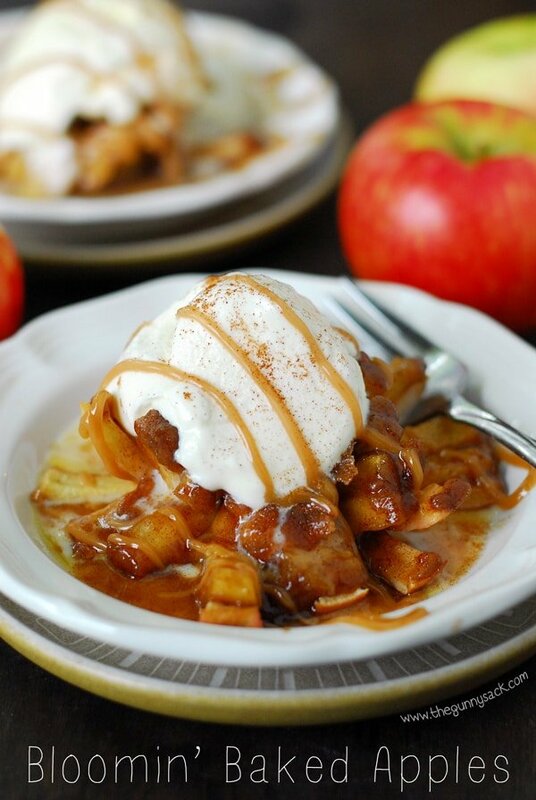 How can I make baked apple chips in a convection oven? If you use a convection oven, you can make more at one time. My sister does 6 trays at a time with convection bake at 200°F for 3 hours, flipping halfway. 3. 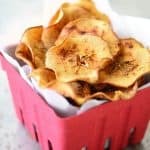 Can baked apple chips be made without adding sugar? 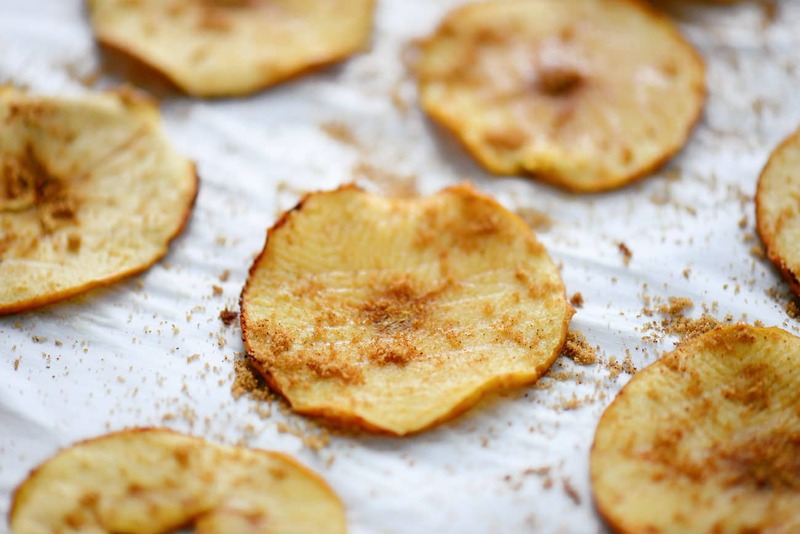 If you want less sugar, you can sprinkle the apple slices with just cinnamon or bake them plain. 4. Which apples are the best choice for making apple chips? We prefer sweet, crisp apples such as Gala, Fuji, and Honeycrisp. Use a mandoline slicer (this is the one I used) or knife to cut the apples into thin slices. Remove the seeds. 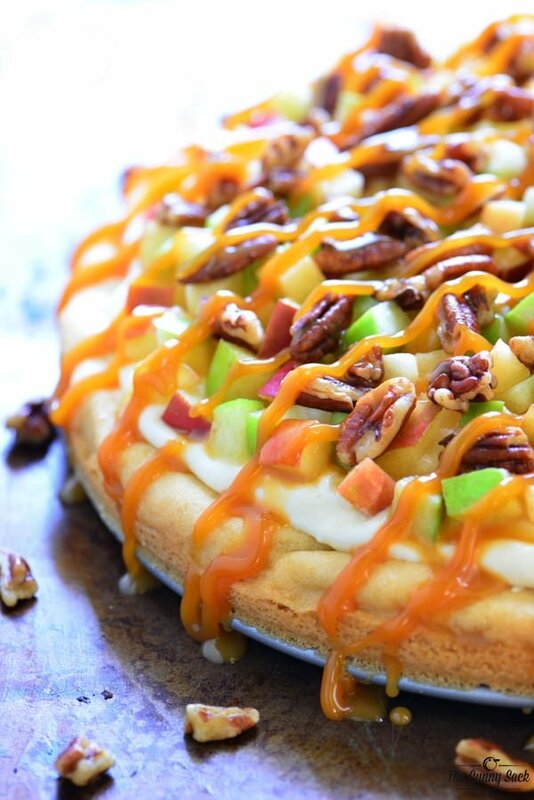 Put the apples on a parchment covered baking sheet. Sprinkle with the cinnamon sugar mixture. Remove from the oven, flip the apple slices over, and sprinkle with the cinnamon sugar mixture again. Return the pans to the oven rotating the pan from the top rack to the bottom racks. Bake at 220°F for 1 hour and 30 minutes. Remove a couple of baked apple chips and let them cool on a plate on the counter for a couple of minutes to see if they get crispy. If so, you are done. If not, continue baking until the apple chips feel dry to the touch and crisp up within a couple of minutes of cooling.